Lithonia Lighting EDGR Series Emergency LED Edge-Lit exit sign uses LED lamp that has voltage rating of 120/277-Volts. Single-face exit sign has power rating of 3.8-Watts at 120-Volts and 4.5-Watts at 277-Volts. It comes with green colored EXIT legend. It runs on sealed maintenance-free nickel-cadmium battery. 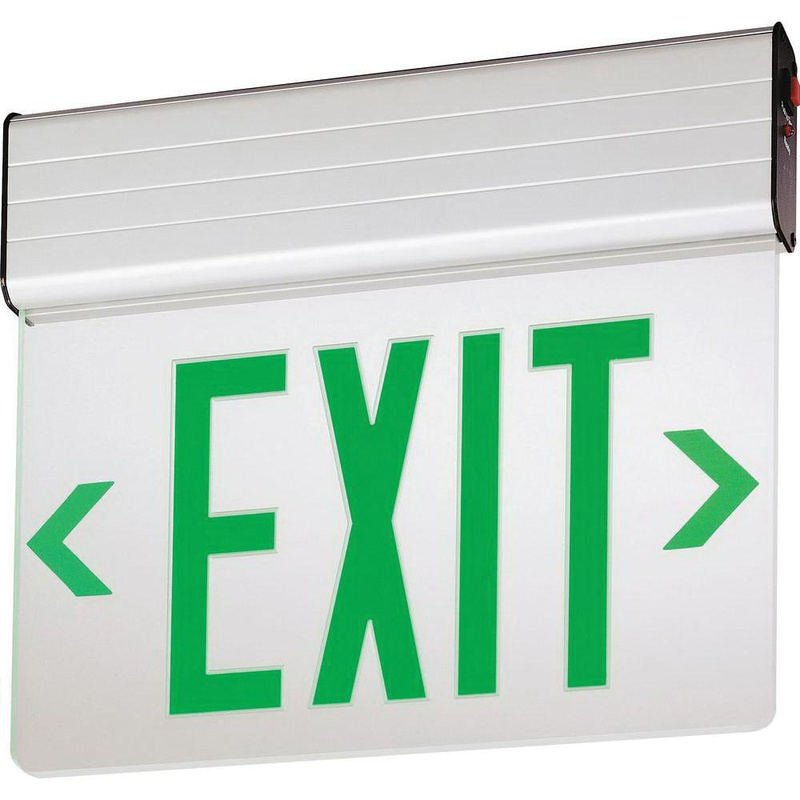 Exit sign has extruded aluminum construction and supports recessed mounting. It measures 13-Inch x 1-3/4-Inch x 8-Inch. Explicitly it is suitable for commercial spaces such as retail, offices or medical facilities. Mirrored separator panel simulates clear background. It has temperature rating of 0 to 50 deg C. Exit sign is UL listed and meets NFPA/NEC/OSHA standards.